A little bit of sour with a whole lot of sweet makes for one delicious dessert. Everyone’s had chocolate cake and apple pie. But not everyone has experienced the deliciousness of key lime pie. Serve this citrus dessert for your next event or family dinner and you are sure to be the hero of the evening. 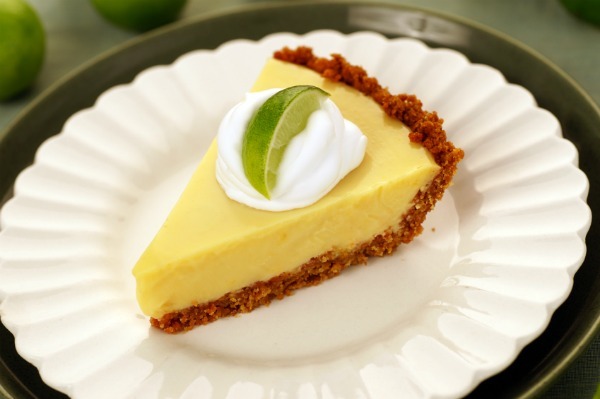 Key lime pie is the perfect after-dinner dessert because of how light it is. The citrus notes paired with the creamy sweetness make for a treat your family and friends won’t soon forget. Separate eggs and put yolks in one bowl and whites in the other. Beat yolks and add sweetened condensed milk. Pour in lime juice and beat thoroughly. Pour mixture into pie crust and bake for 12 minutes. Remove from oven and allow to cool in fridge. Preheat oven to 425 degrees F. Beat egg whites until frothy and slowly add in sugar. With a spatula, spread egg whites onto cooled pie, forming into peaks if possible. Make sure the egg white mixture stretches all the way to the crust. Bake for 2 to 3 minutes or until the egg white peaks begin to brown. Remove from oven and allow to cool in fridge to solidify. Serve.